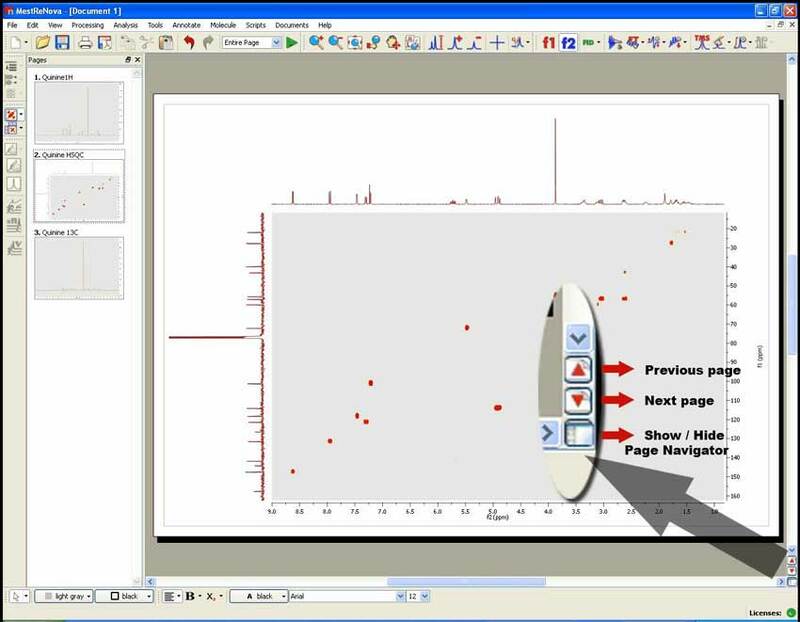 When the user tries to apply a COSY-like symmetrization to a non-square spectrum, Mnova will show a message box proposing to make it square. The Integral and Multiplet Manager dock widgets are now resizable. Capability to import the f1 dimension phase parameters of Varian spectra. 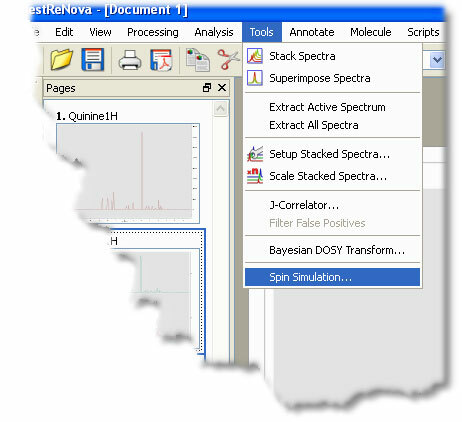 Mnova is able now to read Varian f1 phase correction values of 2D-NMR spectra. Problems with Whittaker Baseline Correction algorithm when it was applied in f1 for a 2D spectrum. Changing the class of a multiplet to a singlet did not remove the J values. Problems applying automatic multiplet analysis twice after a manual integration produced different results. PPC mac failed to open documents with integrals made on Intel PC’s. Fix a bug that changing parameters order via Parameters Customization dialog was lost on closing MNova. Page navigation buttons have been added to the vertical scroll bar area. 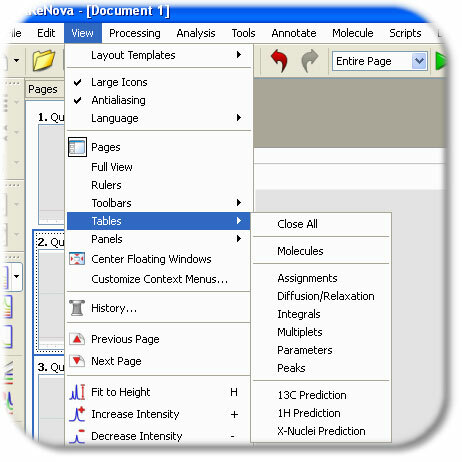 It is now posible to navigate through the pages of a Mnova document and to hide the ‘Page Navigator’ by using the new buttons of the vertical scroll bar. 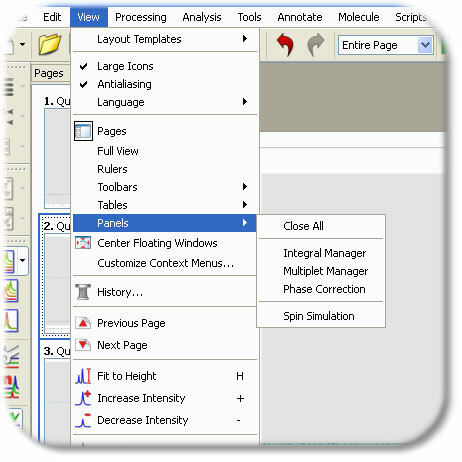 The Tables Menu has been enhanced by adding a Panels submenu and grouping them depending on the plugin they belong to. The dock tables will be kept in the Tables submenu and the rest of the dock widgets will be shown in Panels. The program crashed when Tab was pressed and the document had no items.